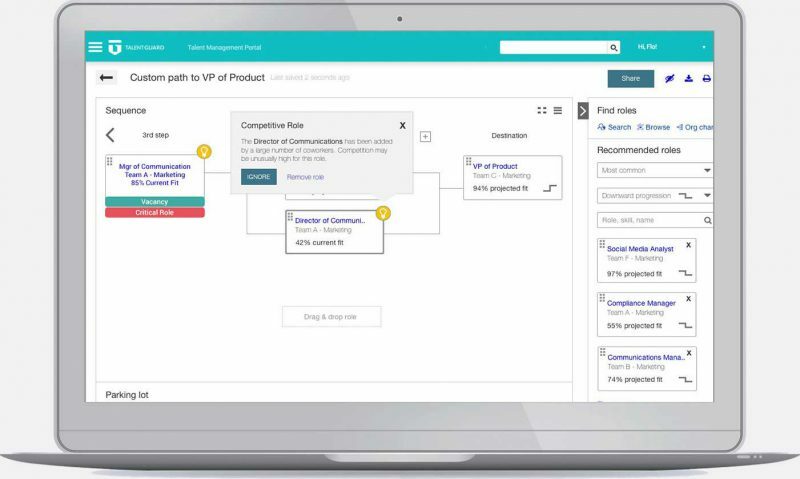 Career Pathing is a systematic approach to career development, enabling employees to map multiple career path scenarios, review job competencies and evaluate skill gaps. By giving employees the career pathing tools to chart their career progression, they become more engaged in their roles and the development of their careers. Career development, personal growth and job progression have proven to engage employees. Many organizations are re-thinking career management to allow for more flexible employee career journeys. They are offering other ways to retain and engage employees, including dual career ladders, job redesign, job rotations, lateral career paths, upward and dialed-down career paths, encore career paths, consulting and contingent work opportunities. 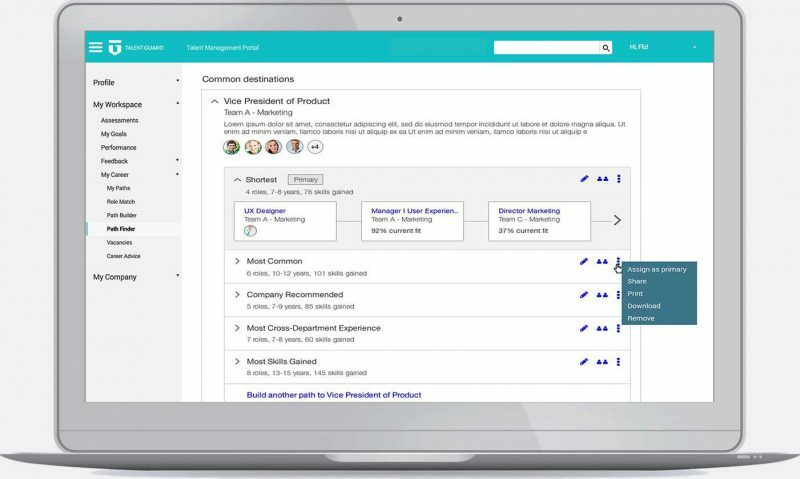 Drive employee enablement by recommending career paths, job enhancement, vacancies and job rotations aligned to skills, goals and aspirations. Empower leaders by helping them coach and support employees with meaningful conversations as they navigate the organization. Build a workforce around organizational engagement which gives companies a competitive advantage. 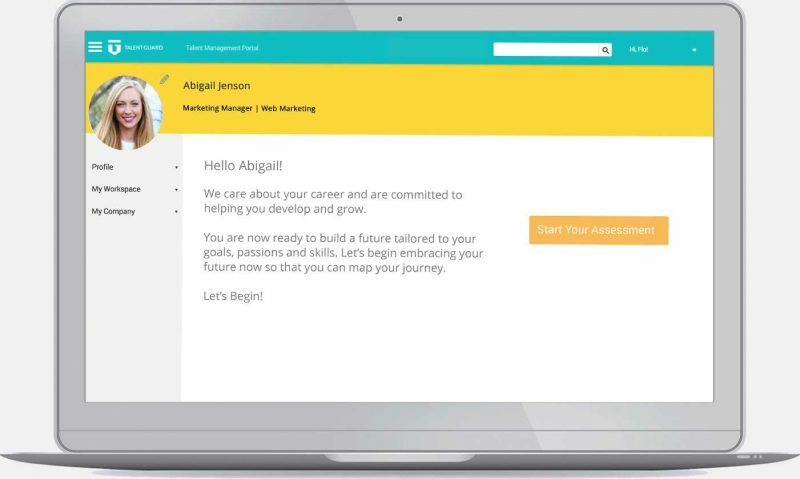 After logging into TalentGuard, greet your employees with a personalized welcome page. 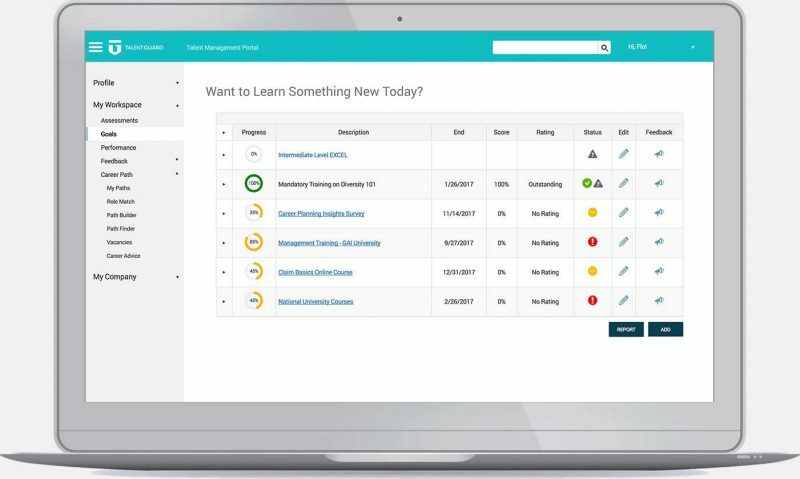 Customize the assessment library to meet your specific workforce needs. Evaluate an employee based on their existing job role to identify areas for career development. 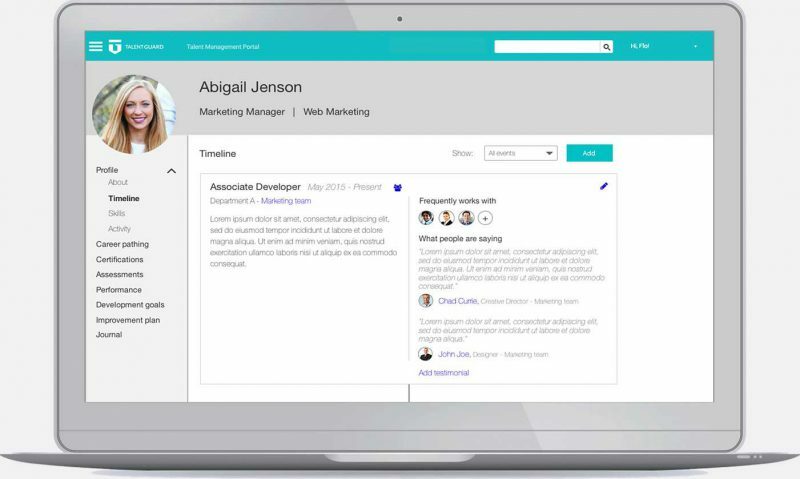 The About Me page is your employees’ main talent dashboard, offering a unified view of their skills, certifications, teammates and more. See a visual representation of your employee’s career history. 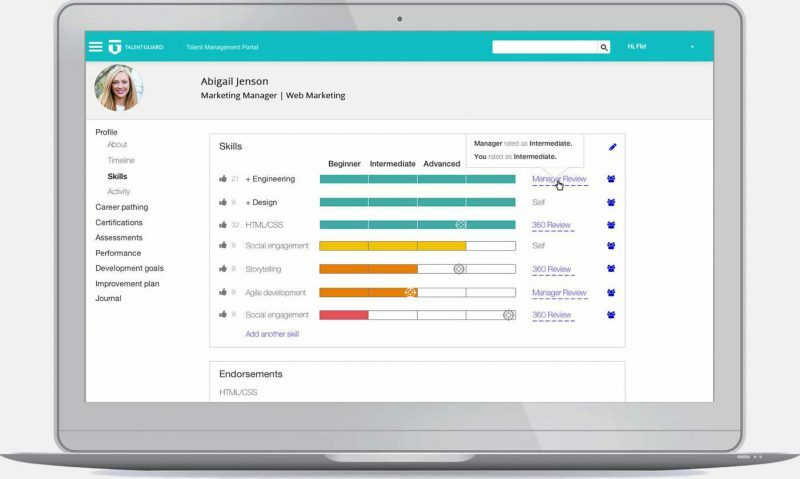 View all assessed skills and endorsements within an employee’s Skills Profile. 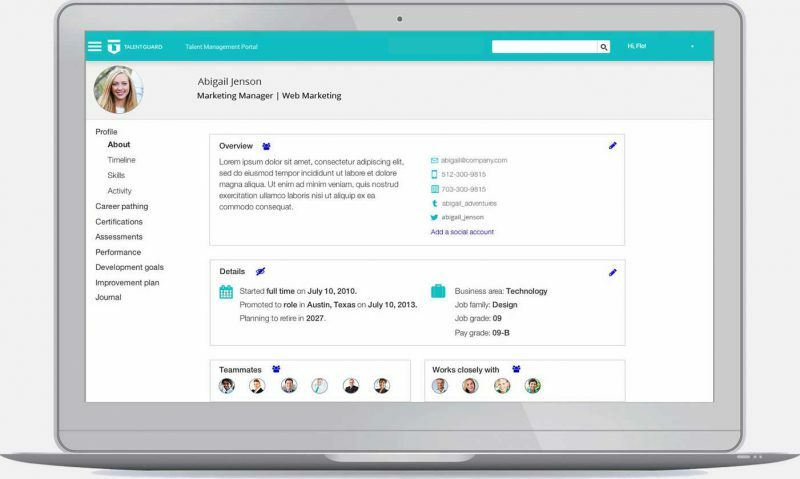 Track all your career paths in one place. 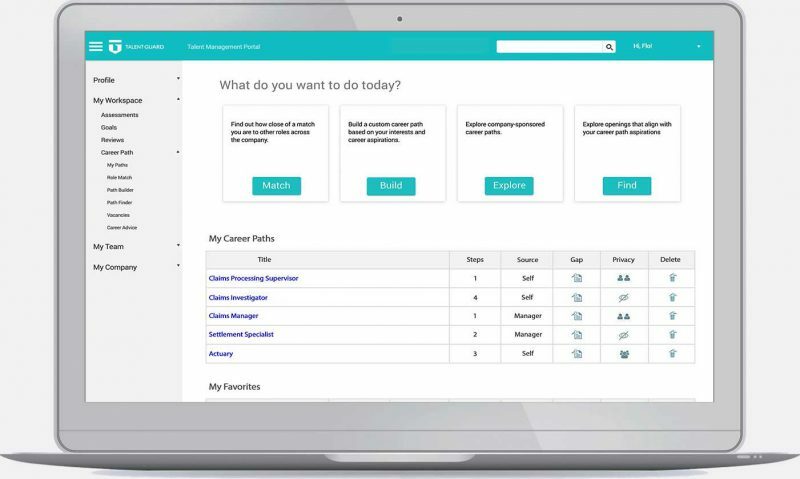 Automatically serve up career matches based on an employee’s Talent Profile and all potential job moves. 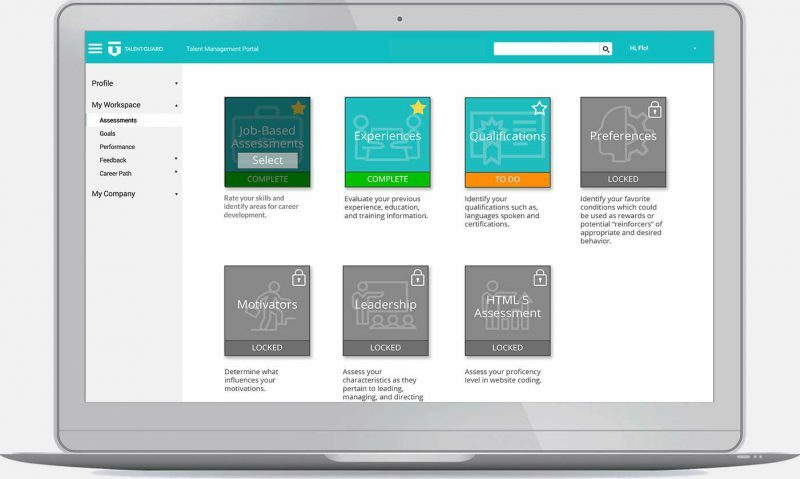 Career Canvas automatically recommends progression paths and job opportunities tailored for individual goals, aspirations, and skills. 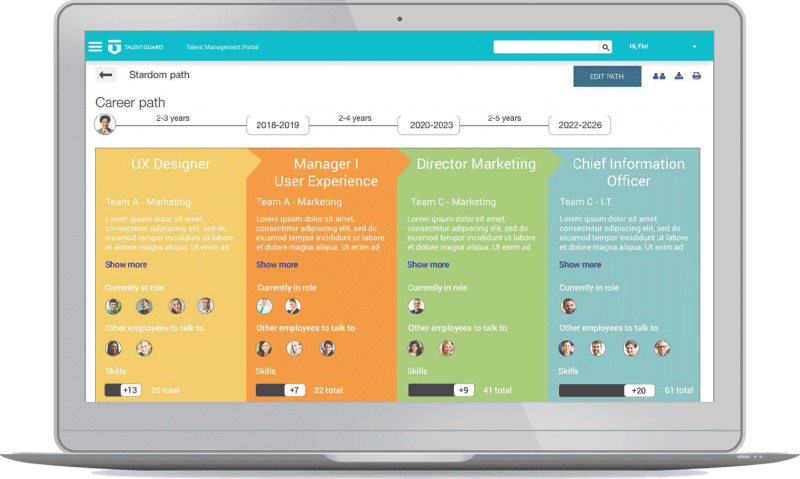 The Career Progression Roadmap provides access to gaps, mentors and those who have traveled the employee’s aspirational path. The Gap Report provides a high level overview of an employee’s fit for a job role. An employee’s Career Development Plan is populated with development options, learning links, and coaching tips. Please complete the form to download this product overview. Thirty-two percent increase in career conversations due to increased transparency of skill and role expectations. Thirty percent increase in employee engagement by providing tailored job opportunities for individual goals, aspirations and skills. Seventy percent reduced voluntary turnover due to identifying and pursuing a clear career path. 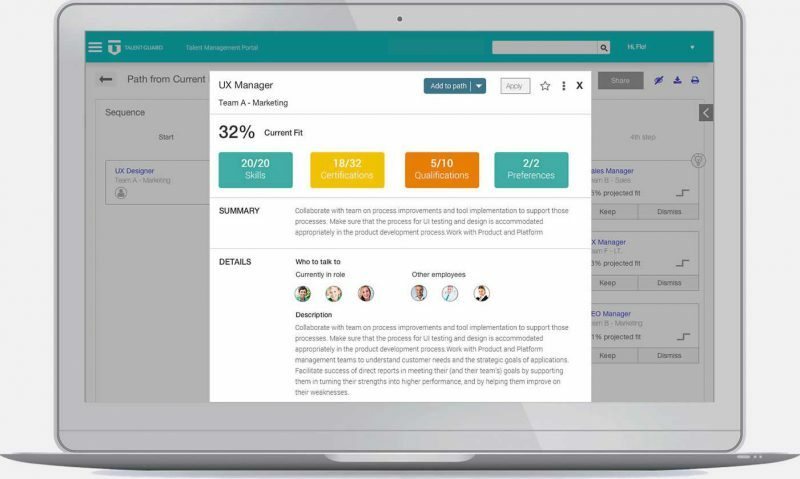 We invite you to request a Career Pathing demo and see for yourself how TalentGuard can help.